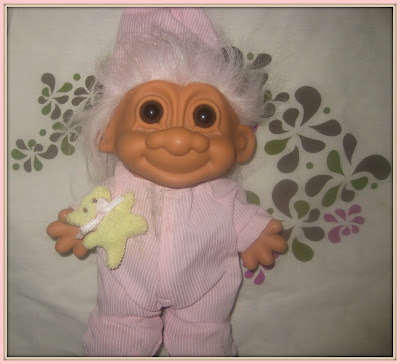 I feel in love with this troll when I saw it. It's got the sweetest smile and it's own plush teddy bear and PJ's. That is a lovely troll collection. Sorry to see it's not selling for a lot. I have nearly all the trolls in your listing. I personally think the best time to sell trolls is near Christmas. Maybe you could pull your auction and try again in December. Best of luck!